Matthew P. Schnitzlein - Tampa Full-Service Law Firm | Allen Dell, P.A. 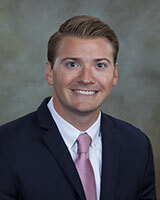 Matthew Schnitzlein is an attorney with the law firm of Allen Dell. Mr. Schnitzlein practices exclusively in the areas of tax, trusts and estates.